TenTen Publications and Afflare Films have revealed that their award winning film has chalked up another film festival win. 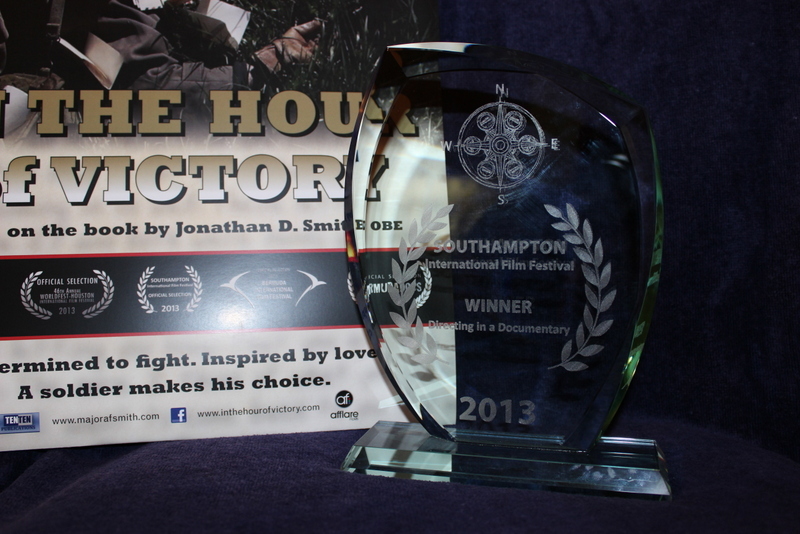 The World War II-based Bermuda documentary, ‘In The Hour of Victory’ was the winner of the best ‘Directing in a Documentary’ category at the just-completed Southampton (UK) International Film Festival. More than 400 films, in several categories, are reported to have been entered in the festival. The recent win, which recognizes the work of the co-directing team of Lucinda Spurling and Andrew Kirkpatrick is another major accolade for the documentary film. The film also won the prestigious Platinum Remi Award for feature documentaries at the Worldfest Houston International Film Festival in April this year. Jonathan Smith, author of the book on which the film is based, was in Southampton to receive the award on behalf of the Directors. ‘In the Hour of Victory’ has also screened at Bermuda Docs Film Festival, the Bermuda International Film Festival and Worldfest Houston International Film Festival and has obtained very positive reviews as well as the top prize for documentaries at the Houston event. In the Hour of Victory stars Bermudians Ben Beasley as Major Toby Smith and Catherine Hay as his wife, Faith. Steve Gallant, a former Bermudian resident, composed the musical score for the film.